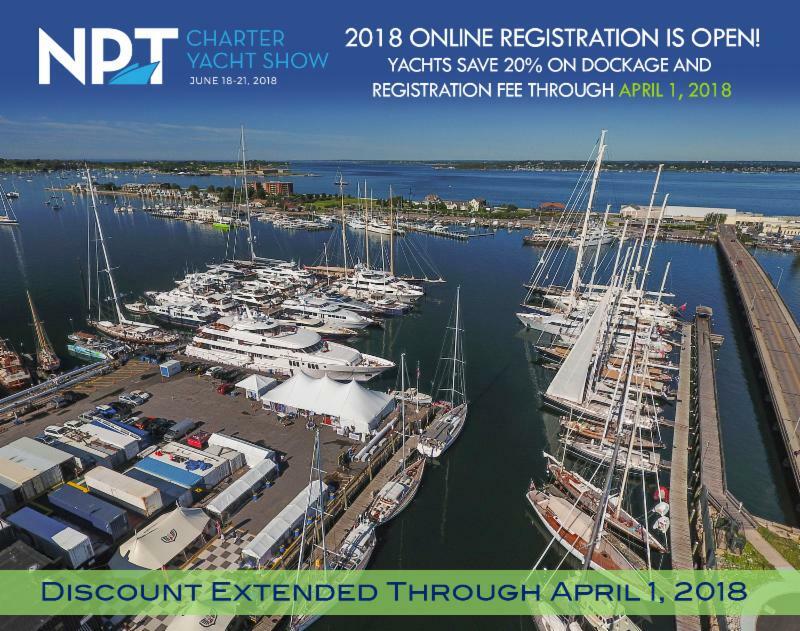 The discount deadline for yachts participating in the Newport Charter Yacht Show presented by Helly Hansen Newport has been extended! Captains and charter brokers now have until April 1, 2018 to save 20% on registration fee and dockage. Click here to register. Participating yachts - ranging in size from 60 feet up to 190+ feet - will be open for tours to registered participants dockside at Newport Shipyard, 1 Washington Street. Show attendees will enjoy a variety of shore side exhibits and activities including festive social gatherings and a themed "yacht hop" where captains and crew on participating vessels serve guests signature cocktails and hors d'oeuvres. Chefs and interior crew aboard participating yachts will add zest to the show on Tuesday, June 19th, Wednesday, June 20th, and Thursday, June 21st when they contend head-to-head in culinary competitions, a signature cocktail competition presented by Keel Vodka, and a tablescaping challenge. Organized by Winnie DeCoster of Captains' Concierge, details regarding this year's culinary theme will be posted on the Newport Charter Yacht Show web site soon. Interior crew will also compete in a designer water competition, which was organized and sponsored by CYBA, AYCA, and IYBA, in 2017. On Thursday, June 21, the American Yacht Charter Association (AYCA) will host its Annual "Signature" Educational and Informative Seminar in the morning. The AYCA PR Committee is actively working on the topics, speakers, and sponsors. Interested parties should contact PR Chairperson, Carol Kent, vacation@carolkent.com, 781-631-1800.